The Reverend Nicholas Mercer became Rector of the Priory Church of St Mary and St Cuthbert, Bolton Abbey on 01 April 2019. 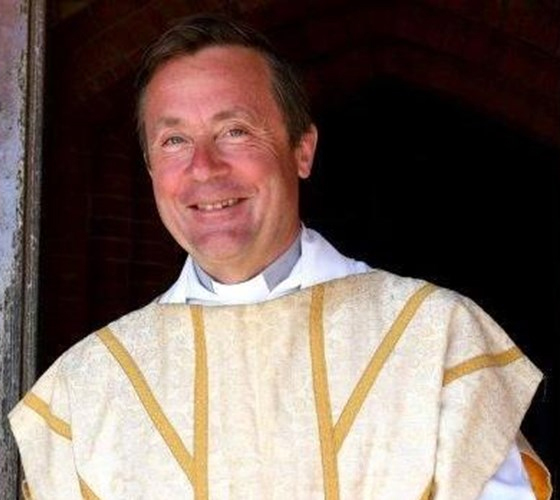 He was previously the Rector of the Falkland Islands, a parish which includes South Georgia and the British Antarctic Territories, and is based in Christ Church Cathedral, Port Stanley, the southernmost Anglican cathedral in the world. Prior to this position he was Assistant Chaplain at Sherborne School, and previously served his curacy in Gillingham, Dorset. Nicholas was born in Yorkshire, graduated with a BD from St Andrews, and has subsequently gained LLM and MTh degrees from the universities of Cardiff and Oxford respectively. He was admitted as a solicitor in 1990, and in 1991 joined the Army Legal Services as a Captain. He served the next twenty years in Northern Ireland, Bosnia Herzegovina, Germany, Iraq and Cyprus. His army experience included directing and prosecuting Courts-Martial, and he was also on the teaching staff of Bielefeld University and the International Institute of Humanitarian Law. He was the Command Legal Advisor for the HQ 1st (UK) Armoured Division during the Iraq war in 2003. As a result of his stand against the inhuman and degrading treatment of Prisoners of War in Iraq, he was named as the Liberty Human Rights Lawyer of the Year 2011-2012. He has lectured extensively on the Law of Armed Conflict and Human Rights. Prior to his ordination, he retired from the Army with the rank of Lieutenant Colonel. Nicholas is married, with three teenage children. His interests include music, fishing, shooting, deer and ferrets.